Through a combination of strategic insights and technologies, we work with our clients to craft innovative products and processes to transform customer experiences. With today's competitive environment, clients often seek strategic thinking and advice to achieve their most important business goals and objectives. Whether it’s moving into a new line of business, on-boarding a new acquisition, or selecting new technology capabilities, Allata provides unbiased thinking and direction based on many years of experience and lessons learned. We give you an actionable plan and are ready and willing to help with execution. We work with clients to initiate and successfully complete challenging transformational programs and projects. Transformation is an overused term, but often refers to digital transformations, business model transformations, or leverage of emerging technology to disrupt the status quo. These projects are challenging and complex, typically requiring changes in people, organizational structure, business process, in addition to technology. We provide experienced, strategic leaders to work as program managers and advisers to guide these initiatives to successful outcomes. We help our clients separate fact from the latest hype and determine which technologies are ready to help you transform your business. There are many emerging technologies which are driving much of the transformational activity in the business world today. Cloud computing has arrived and forever accelerated the speed to market. It's easier than ever to create new software products and pilot new business models. Advancements in artificial intelligence, augmented and virtual reality, internet-enabled devices (IoT), 3D printing, and robotics will shape the next 5-10 years of business advances. We help our clients evaluate these advancements and shape the evaluation and implementation of new technologies into their business models and drive successful outcomes. 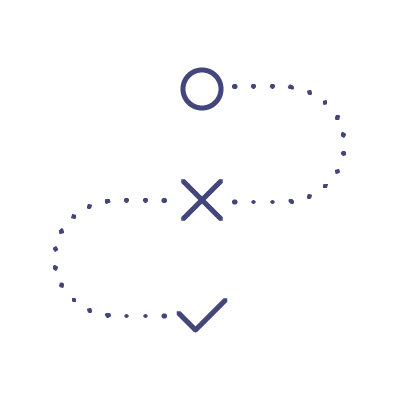 Our approach is simple – understand where our clients are with their initiative, determine where they want to be, and collectively define the optimal path to get there. We call these three steps assess, strategize, and plan. We then bring together the right team to execute and make the plan a reality.